As someone who has read everything Agatha Christie has ever written and every Sherlock known to man, I couldn't resist a good mystery when it was offered to me. I'm glad I didn't. While it took me a little bit to get into it, by the time I reached the end, I was regretting that I hadn't read the first book in this series. Let me explain. 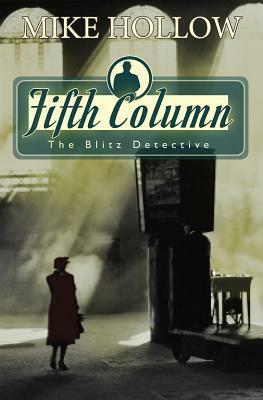 This book is the second book in the Blitz Detective series. Why did I regret not reading the first book? Not because I needed to for this one to make sense, but because this one was good enough to make me want to go back. The author does a fantastic job of painting a picture of what London was like during the blitz. The characters were real and there were plenty of them for you to try to figure out the "whodunnit". I'll confess! I figured out tiny pieces of it but the whole picture took me by surprise. For me, those are the best kind! So, if you get a chance to pick up this book, I can happily say that I think you should!